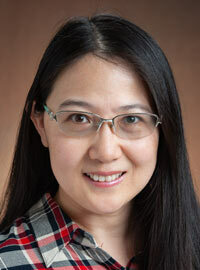 In 2010, Dr. Lu became a Research Analyst with Upper Great Plains Transportation Institute focusing in the area of asset management, freight transportation, smart transportation, rail transportation, and transportation safety. She became an assistant professor of transportation in 2015 and has been promoted as associate professor since 2017. In addition to her research activities, she has successfully taught several graduate courses including Highway Planning and Logistics, Transportation System II, Logistic Decision Analysis.